This week Shotgun Master Garrett Waylon takes a page out of Daniel Son’s book in this epic episode of the Thirsty Male. 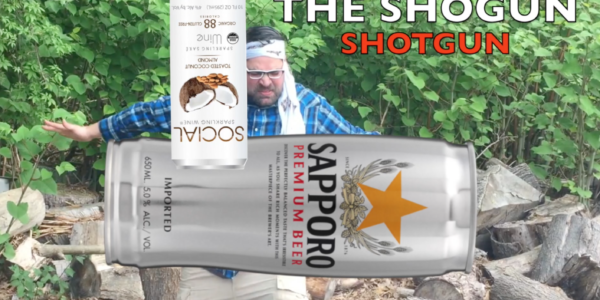 Garrett fuses a Sapporo beer with a Social Sparkling Wine into a two can shotgun. Garrett is always pushing the limits but this is getting ridiculous. This was a tough one to swallow so Ole Garrett needed a little time chopping wood to prepare for the pre and post drink.